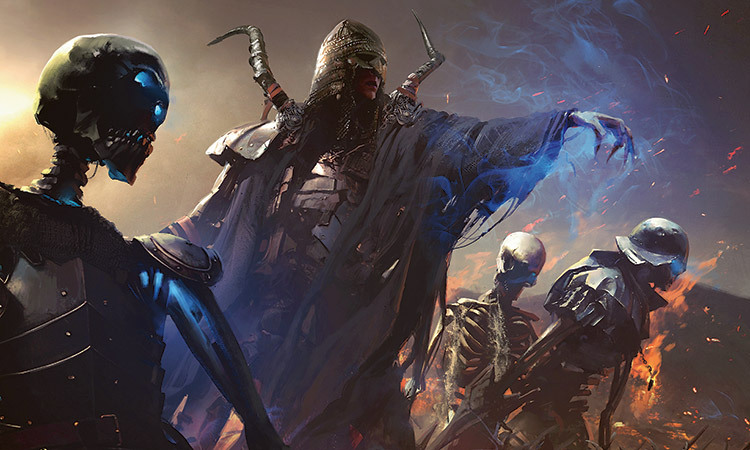 The dust has fully settled on the Dragons of Tarkir set, and Modern Masters 2015 is quickly shrinking in our rearview mirrors. 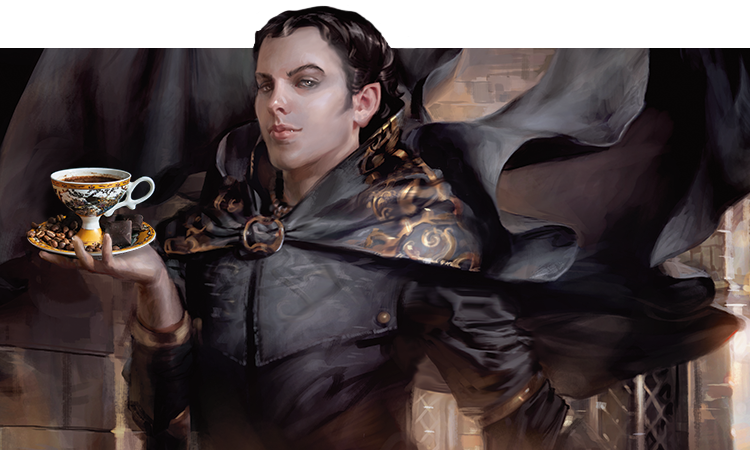 And we aren't quite in full swing on Magic: Origins previews yet, either (more on that next week), which means we have a bit of a gap here to focus on more general Limited topics. I love weeks like this, as we get to dive deep on improving our play in all Limited environments. I usually use these to introduce a new tool or concept that you can use to improve your game. This week, I'm going to instead go over some of the heavy-lifters we all should be holding in our Limited toolboxes. I've built these up myself over the years—some on my own, and some from my co-hosts on the Limited Resources podcast. We reference these tools nearly every week on the show, and I reference them in this column frequently as well. Tools like these are critical to improving your play, because they bridge the gap from set to set. They allow you to create shortcuts and heuristics from which you can glean important early information about new cards and sets. If you find yourself stumped on a certain card, you can default back to these methods to help get on the right path again. If you're having a heated debate with your draft group about why a card isn't as good as they think it is, you can use these tools to show on paper where you are coming from. Once you start implementing this way of thinking, it becomes second nature. Like muscle memory, but for your brain. Now, I've spoken and written about all of these in the past. Some have entire articles devoted to them. But I thought a recap of some of the major tools and concepts in one place would be a good way to review them, in case you felt like you were off the value path. Even if you know these tools well, it's always good to brush up from time to time. I haven't put these in order of importance, as they are all important. The Vanilla Test is the best way to get a baseline feel for a creature. All you have to do is look at the mana cost, and compare that to the power and toughness of the creature. That's it! Ignore the rest of the text in the rules box and ask yourself if you'd be happy playing the card just as a "vanilla" creature—a creature with no special abilities. The key to the Vanilla Test is to realize that this is merely a starting point in your evaluation of the creature. You don't get to just be like "Hmm. . .2G for a 3/3 passes the Vanilla Test, great card. Next?" No, the point of the test is to help set your expectation on what may appear in the rules box. We found that people often looked a card, saw an overpriced or underwhelming special ability, and dismissed it as a bad card. Even though its power and toughness to mana cost ratio was quite good. The Vanilla Test lets you set that baseline first, and then adjust further after reading the rules text. If you want to take it a step further, you can also go for the ultra-euro French Vanilla Test! So trendy. It's actually just a slightly more advanced Vanilla test, which incorporates common abilities like flying, trample, or first strike. Where a 2/2 for 2U wouldn't pass the, um, vanilla Vanilla Test, a 2/2 with flying for 2U would. Because we see cards like this so often in Limited, it's a reasonable shortcut to just include the flying part in the test. I make a habit of employing the Vanilla Test on new cards, as it's very quick to do and it keeps your brain sharp on what to expect from creatures as they slowly change over time. I came up with Setup Cost as a way to describe potentially powerful cards that required some extra work to get going. I found that these cards were often referred to as "good" or "powerful," but that people weren't properly denoting the times when the card just didn't do anything at all. As an example, most creatures have a very low Setup Cost. You simply play them from your hand, and they do creature-y things like attacking and blocking. Easy. Now take a card like Skywise Teachings. This card has a high Setup Cost. First you have to cast it. That part is relatively easy, but it's worth noting here as that's all you have to do in the case of a creature. Then, after you have it on the battlefield, you have to cast a noncreature spell. Then you must have 1U extra to pay on top of the noncreature spell, and after all that you get a 2/2 flying Djinn Monk token. Phew, quite the setup indeed. I've seen this card dominate the late part of a game and create a big army of 2/2 flying tokens, though. I'm not saying that it's bad because it has a high Setup Cost, but that's something that absolutely must be noted when evaluating the card. Saying "it has a high Setup Cost" is the cleanest way to describe it. Quadrant Theory is kind of the tool that ties all the other tools together. It's the tool belt. Developing – The early stages of the game, when the players are still figuring out their roles. Parity – Both players are at a stalemate and drawing off the top of their deck. Winning/Ahead – You are ahead on board. If nothing changes from here, you'll win the game. Losing/Behind – You are behind on board. If nothing changes from here, you'll lose the game. So the issue becomes "how good is the card in question in each of these scenarios?" One important thing to note before putting a card to the Quadrant Theory is that not all quadrants are treated equally. Generally, the Winning/Ahead quadrant pulls the least weight, and the Losing/Behind quadrant is the most important. This is because when you are winning, drawing just about any castable spell will help push you further towards victory. But when you are behind in a game, there are precious few cards in your deck capable of pulling you out from the depths. Quadrant Theory works well with both creature and noncreature spells alike. Let's throw a couple on the ol' Quad, just for fun. 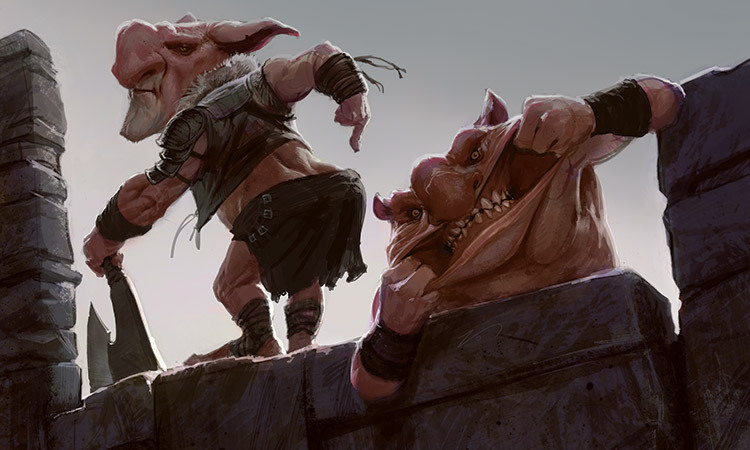 We'll start with a powerful—yet conditional—card from Dragons of Tarkir: Berserkers' Onslaught. This card doesn't do much in the developing stages, as it costs five mana. It seems like a reasonable curve topper, though. In a Parity situation, this card will range from good (because it enables attacks you wouldn't normally have) to bad, because sometimes you still can't attack profitably. It's in the middle somewhere. In a situation where you are Winning/Ahead, this thing slams the door on the game better than almost any other card. It's very good here. Now the sticking point: when you are behind. Berserkers' Onslaught does effectively nothing in a game in which you are significantly behind. It doesn't block, nor does it help your creatures block better. There are scenarios where you may be able to steal a win or force a race, but if you are actually behind, this isn't coming close to saving you. Poor grade. As you can see, Berserkers' Onslaught is a powerful spell, but it shows pretty clearly that you want to put it in a deck where you are the aggressor. It won't save you if you fall too far behind, but it can get you ahead and keep you there. Let's compare that with a card that R&D has gradually shifted away from over the years: Doom Blade. In the developing stages, Doom Blade is great. It can keep you alive if you need time, or it can clear away early blockers if you are on the beatdown path. Awesome. While at Parity, it's also great. It can help break that parity by killing the biggest threat on the opposing side. Or it can help maintain parity if your opponent draws a big bomb that shifts the balance. When ahead, Doom Blade, like many spells, is fantastic. It keeps you ahead. When behind, Doom Blade is still pretty great. It will kill the biggest threat and give you a chance to crawl back into the game. Perhaps unsurprisingly, the Quadrant Theory says that Doom Blade is an excellent card. Which is accurate. Go Quadrant Theory! Why are you doing it? Just to save 30 seconds? It's not worth it. Winning at Magic is all about picking up every last percentage point you can. I can't tell you how many times I've been dead on the board, passed the turn, and had my opponent not kill me. Either they missed the attack, or they were fearful that my open mana and cards in hand might turn their lethal attack into a horrible downswing in their direction. Looked at from the other side, so many times I've had lethal and was thinking hard about what my options were; what cards could I play and what could my opponent have used—and then they just concede. They just say "you got me" and go to the next game. I can't tell you what a relief it is to not need to play around anything for that last attack! Additionally, sometimes people just cast a bunch of cards that you get to see, which you may not have had you conceded. Remember: Just because you know you are dead doesn't mean that they do. Even if they show you that they have the card to beat you, make sure you make them cast it. I once had an opponent show me a card that they thought would win them the game, expecting me to concede. As it turned out, it would win them the game if they cast it. I said nothing, but asked them to proceed with the turn. I was thinking of three different cards that could be the last card in my hand that would turn that win into a loss for my opponent. I didn't have any of them, but my opponent didn't know that. After some thinking, they thought of the same cards I was thinking of, and decided not to attack or play the game-winning card. This gave me a full extra draw step to try to find a card to beat them (of which I had two in the deck). If I had just seen the card they flashed me, realized it was actually lethal, and conceded, I would have never gotten that extra draw step. It must be noted here, that never is more of a mindset than actual advice. If the clock is a factor in your match, and you feel like you have near-zero chance of winning the game, by all means concede and move to the next game so that you have the best chance of finishing up the match. Make them earn it; don't give up even when it feels like you don't have a chance. Never Concede. Players often fall into the trap of envisioning a card in its best-case scenario. While perhaps more exciting than reality, the fact is that you have to view cards on a spectrum of the worst case to the best case, eventually finding the all important average case scenario. Sometimes you have to play a card a lot to figure out where that lies. Over time, you'll develop the skills to seek it out. Going back to Berserkers' Onslaught as an example, it's easy to read this card and just envision yourself casting it with full board of high-power creatures all rumbling into the red zone for the win. But the true student of the game will also picture casting it when you have no creatures on the battlefield. Or when you only have a couple of small creatures. Or when the board is clogged up with creatures. From this, you'll be able to determine a rough average case scenario and proceed from there. Not every game of Magic goes how we want it to. Mana issues, a bad draw, our opponent killing all of our creatures—these things happen often. If you are realistic about this, it will help your card evaluations greatly, and help you avoid the dreaded BCSM. Also knows as "Don't be ROTTY," the key here is simple: Focus on the decisions you have in front of you, and the information you have to help guide that decision. That's where the games are won or lost, even if the plays don't work out how you had wished sometimes. It's easy to make a correct decision in the game, fleshed out by solid logic and even some math, and have the end result be a loss anyway. It happens all the time. You took the path that would lead you to victory 70% of the time, but the old 30-percenter came in and you lost. The knee-jerk reaction is to assume your play was not correct (How could it be? You lost) and adjust away from it. This is a big mistake, and one that is easy to make. If you focus on the decision instead of its result, you'll be less likely to do this. DNR doesn't mean that you completely ignore the result; it just means that you have the presence of mind to understand that the weight of the game lies on the decision points, not on what happens as a result of the decision. There are always more tools at your disposal, but I'm hoping a refresher on the heavy-hitters will help get your mind right to win a bunch of Magic matches in your near future. You can refer back to these any time you feel like your game is slipping away and you don't know why. By refocusing on your fundamentals, you can give structure to what you may be doing wrong. That's what I do every time I'm in a slump, and I bet it will work for you too.